The is a LED Submersible Side Marker light in Red for use on Boat Trailers. 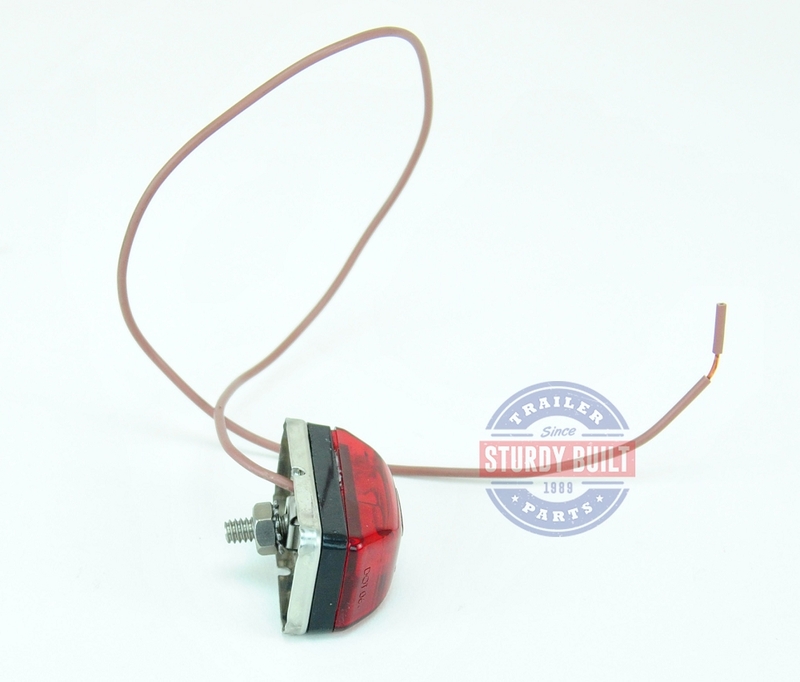 You can really use this Side Marker light on any trailer where the mounting style works. The Submersible qualities of this light make it ideal for Boat Trailers. 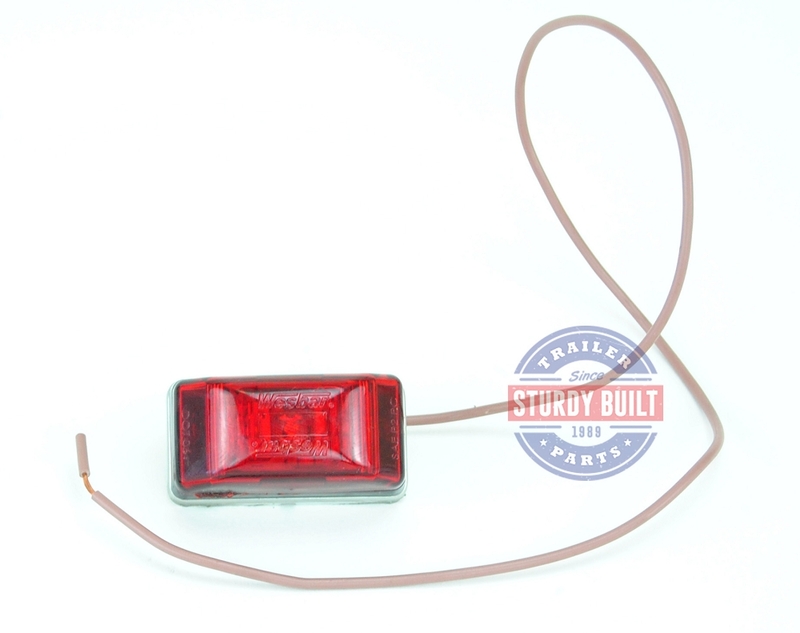 This is a single stud mount side marker light. Typically you would be through bolting this light to you trailers frame or Fender bracket, which would require access to both sides of the mounting surface. LED lights are known for having a much brighter appearance than incandescent lights, and for lasting much longer, not requiring bulb replacement. This Side Marker light will ground directly to the frame of the trailer through the bolt. 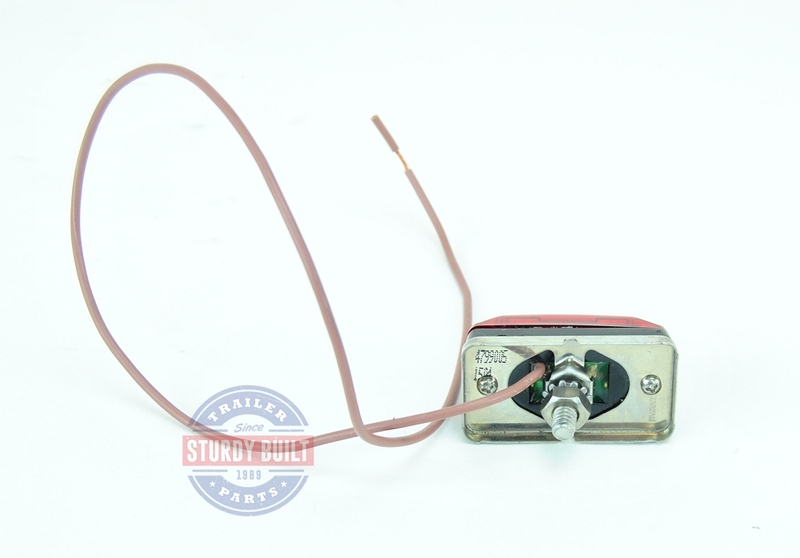 This Submersible Side marker light has a single wire operation, to be used for your clearance light operation.